If you invest in setting up a booth at an event, you want to turn visitors into leads. Imagine setting up a playful, interactive contest that doesn’t feel like a survey at all. If that sounds just as perfect to you as it does to us, this 7 step-checklist will prove extremely useful. Free PDF Checklist: Skip the read and start straight away? Download all 7 steps in one perfect checklist. Enter your email and get the PDF of event data collection success delivered straight to your mailbox. 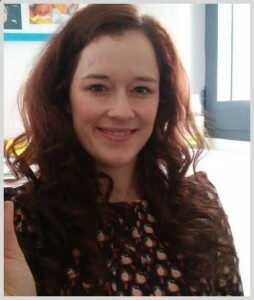 Who is Julie and how did she get to mobile data collection? 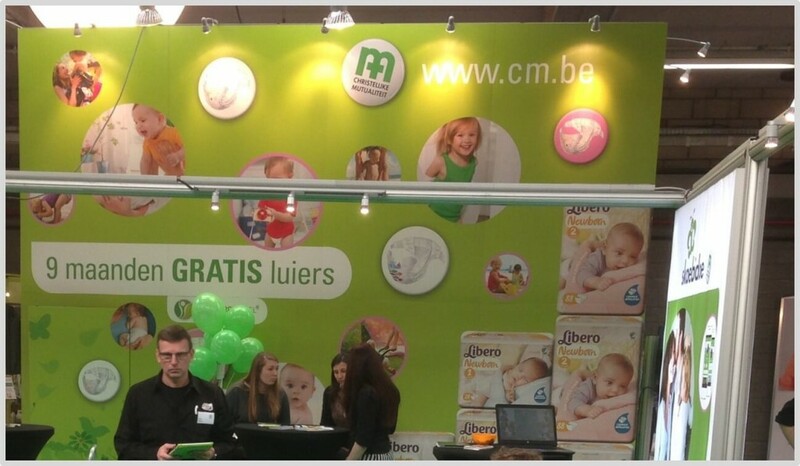 She’s a Marketeer at CM (short for Christelijke Mutualiteit), a Belgian health insurance company. For years now she’s had a booth at a consumer exhibition called “Babydays”. It’s an event that focuses on future parents and parents of young children. At previous editions CM collected contact data with a regular survey. But they were on the lookout for a tool with interactive elements that would allow them to capture data in a more playful way and add a digital incentive. 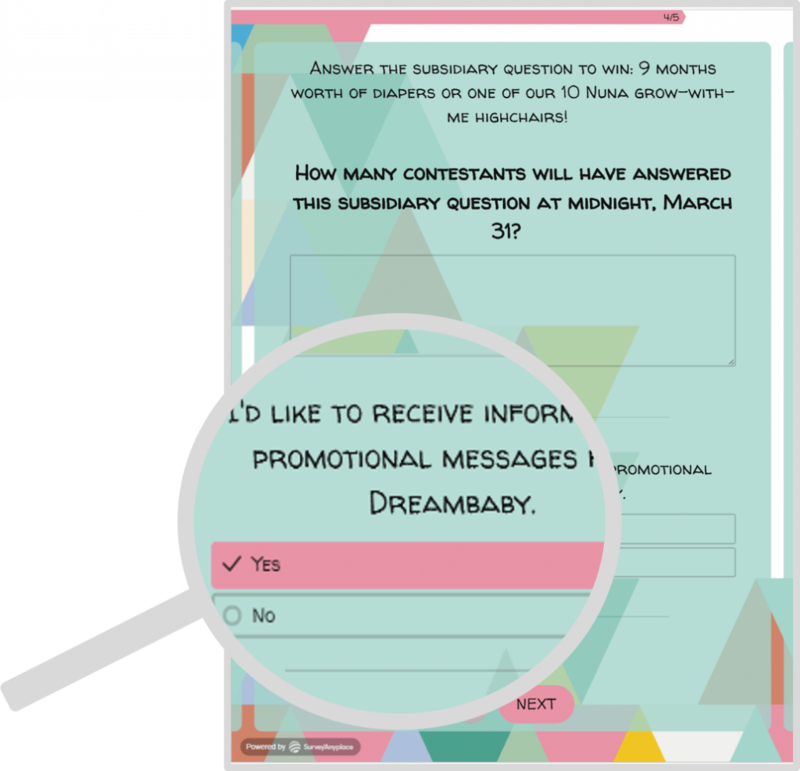 Julie created a data collection survey that was both short, personal and that had a playful scratch card contest to hand out a well-chosen incentive. 80% of the approached visitors took the survey and completed it correctly. Their opt-in rate was an impressive 61%! This one survey at this one event generated over 500 valuable leads in just two days. Back to business. Let’s find out how Julie did it! First of all, ask yourself what you want to achieve with this survey. You have people with you for a short period of time, make sure you use that time frame wisely and focus on the one (perhaps two) things you’d like to get from your visitors. Julie wanted to know if visitors were already a member of CM. And to discover if these visitors had any expectations towards CM. If they weren’t a member, the focus was to find out why. Think of an actionable plan for what you’ll do with the data afterwards: follow up. In step 7 we’ll come back to how CM handled this. With young parents as a target audience, CM could assume their prospects were familiar with the use of a mobile device or tablet. So they chose iPads to conduct the data collection survey. Tip: If you haven’t got any devices of your own, consider renting them for the event. Make sure your devices are up to date to ensure security and performance. The operating system for iPad is called iOS. For more info and updating your operating system, go here: How to update iOS software on an iPad. Add one or two devices as a spare. While the other devices might run out of battery and need time to charge, you’ll have a fresh one at the ready! (The battery life of an iPad air for example, will last about 6 to 8 hours while you use it to conduct your surveys). Bring chargers and make sure you have a place at your booth to charge your iPads. Consider bringing a laptop as backup, like CM did. It misses the useful features of a mobile device, but it’ll keep you up and running when needed. “Some quick wins on battery life are things you can set up before the event starts. Disable GPS functionality when it’s not needed, adapt the clarity of the screens and bring a spare to charge while you’re working with the others.” – Marijke Melis, account manager at First Rental. Some venues offer you paid Wi-fi. Only rely on it when excellent performance is guaranteed. Instead, it’s advisable to work with a survey tool that allows you to capture your data offline. Performance tip: When you pay for Wi-Fi, make sure that the (download) capacity is at least 5Mbps for up to 5 users/devices at a time. Add an extra 1Mbps per additional device. Keep in mind that all people with access to your Wi-Fi are extra users. Click here to measure the speed of your Wi-Fi. 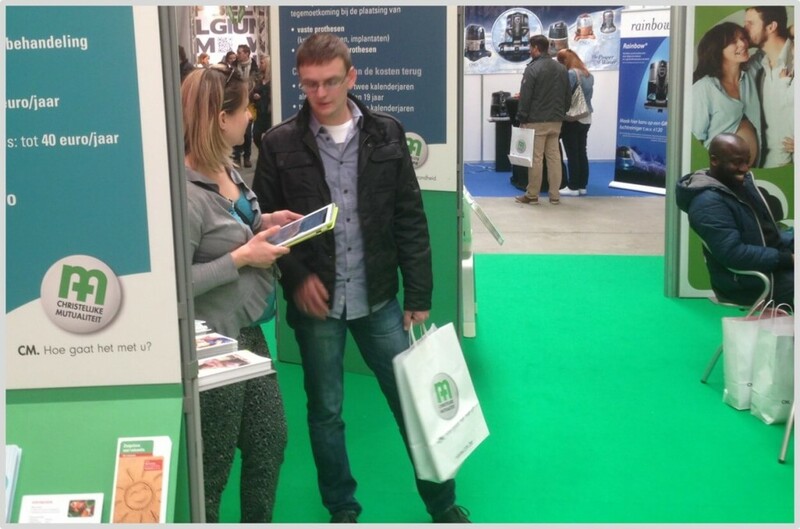 You can get a lot of visitor data from the trade show organizers, it’s easy, accurate and relevant. But be careful: In order for you to be able to communicate and share promotional content with them, you need their opt-in. So while it’s a good idea to compare the visitor data to the responses you collected, the best way to get information that is of value to your brand: do it yourself. Gives you room to add branding and design elements to strengthen your visual communication. Is easy in setup, there’s no need to reinvent the data collection survey! Has an offline capability when you can’t depend on a reliable internet connection. Offers you fun alternatives to the usually dry survey, to engage with your audience. Don’t reinvent the data collection survey. If you’re doing this for the first time at an upcoming event, it’s a good idea to use a template with standard questions as your starting point. 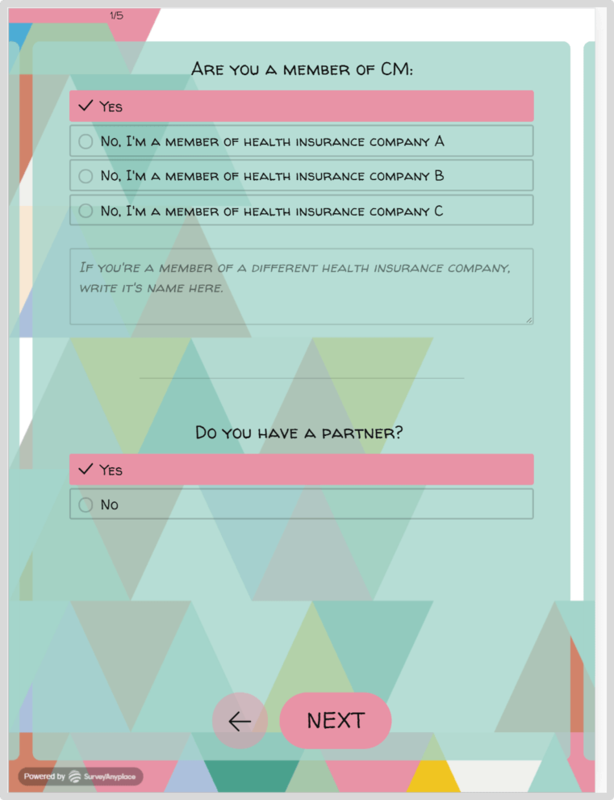 Find a good, ready-to-use data collection template right here. CM managed to get all their info (contact data, client or not & personal preferences) in just 5 questions! CM started by asking the easiest questions first. It’s a great way of making your visitors at ease having them think “Hey, this isn’t too hard, I can do this!”. Demographic questions are a perfect way to start. What’s relevant about these questions is that CM used skip logic in their survey, to create a more “personalized” approach. By adding skip logic to the ‘partner-question’, respondents who answered “yes”, got the following additional question. Skip logic not only gives a sense of personalization, it also increases efficiency. Because only questions relevant to each respondent are asked. Even if your respondents were happy to give you their info for a chance at winning the contest, be sure to add a clear opt-in that allows you to contact them later. CM dedicated a separate page in their survey for this and got a stunning 61% opt in rate. Allowing them to send a considerable new contact list to their sponsors after the event. … At this point, you might have noticed that none of these questions really got to personal preferences of the respondent yet. We are at an exhibition. It’s the one place where it’s easy to get face-to-face with prospects and visitors. Each respondent was helped by a CM representative. Sometimes they would help fill out the survey, or the respondents would do it themselves, leaving the representative with some extra time to start a conversation. After a visitor took the scratch card contest, and chose the opt-in, they’d hand the iPad back to the representative who then got this open text field to add information about the conversation they had. When you ask people for a favor (their personal data), they expect something in return. By incentivizing your survey, gathering data goes faster and with less objections. “There’s no way of doing this without incentivizing. People want to win stuff! So get something for everyone, if you can.” – Ben Gamble (@Gambleonit), Co-founder of Shout About London. Even when you’re on a small budget, there are options: loyalty points, coupons, perks to your product or service that others have no access to. Give your prospects something that matters to them in relation to your own brand. 1. They turned it into a contest: Adding a fun-factor like the digital scratch card to the ‘standard’ data collection and making it exciting both for the team and the respondents to find out who’d be winning what kind of prize. 2. They made sure there was something for everyone: The big prize that people could win was a whopping 9 months worth of diapers. Spot on for their audience! They also handed out a couple of highchairs and several gift-boxes with baby products. And those that didn’t win? CM made sure that it would be worth their while too. 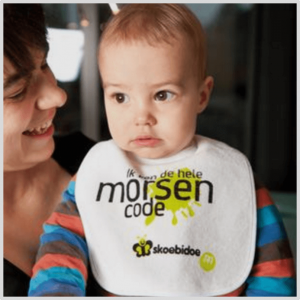 So either you won a big prize, or you got to take home a CM-bib. 3. 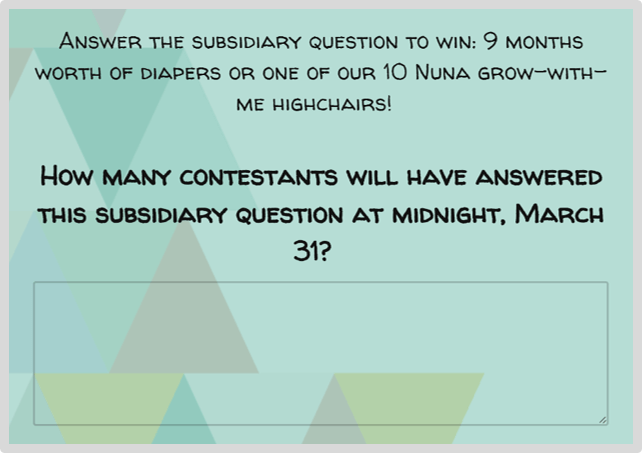 They added a subsidiary question: CM opted for a short subsidiary question to control the chances of winning one of the big prizes. Don’t make this too hard on yourself. If you’re adding a subsidiary question, the most obvious one is to ask how many visitors will have taken the survey at the end of the event. But be more creative if you like! So that’s a done deal? If you set up a contest, make sure to add all necessary legal information about the contest and what you will use the acquired data for. Here’s a great contest terms and conditions template. 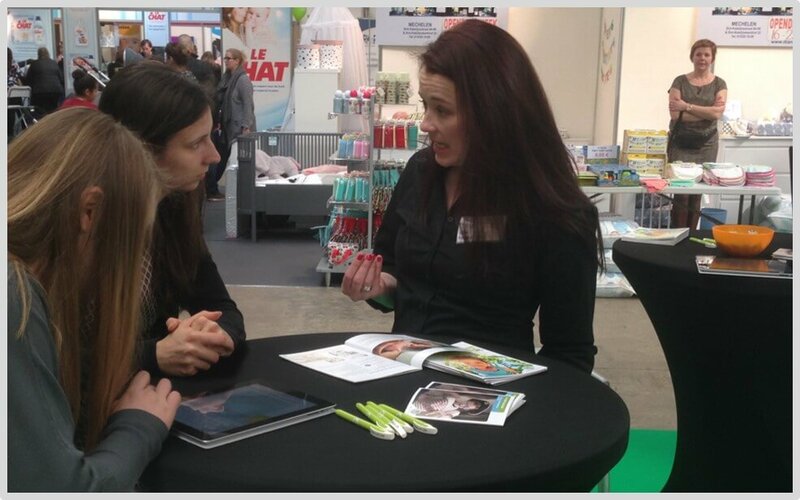 You know the importance of face-to-face contact at your trade show or exhibit. And you know that Julie used representatives to operate the iPads and approach the passing visitors. It’s also possible to set up some unmanned tablets in your booth. You can change the settings of your iPad into ‘Kiosk Mode’. Learn about it in this easy guide to set it up for your iPad, Windows tablet or Android device. Figure out in advance how many people you need to man your booth. Prepare a consistent briefing: make sure everyone tells the same story. Do they know the most important thing they need to find out about their respondent? Test the iPads and survey so your team knows the order of the questions, the unlock code to their tablet and the average duration of a conversation. Work on a good opening line with your team and monitor during the day to improve if necessary. It doesn’t matter if you’ve got unmanned tablets or a whole team of representatives, you should offer people all the help they can get to get to your own goals for this event. Guide them towards your contest and survey. So put a strong call to action in the design of your booth. Have a strong communication plan ready to follow up on your respondents. And start with that as soon as the event is over. So you better have that email template ready before you even set foot into your booth. In the case of a contest, it’s acceptable to have a first ‘confirmation’ email sent out automatically as soon as the responses are submitted. Send out a first reminder right after the trade show. Make your message relevant and recognizable. Adding a picture of your booth at the event for example, will help people remember your brand and what your message could be about. For some more great follow-up tips, go here. Crunch those numbers: was the event a success? If this was your first trade show adventure: use your numbers as a benchmark! 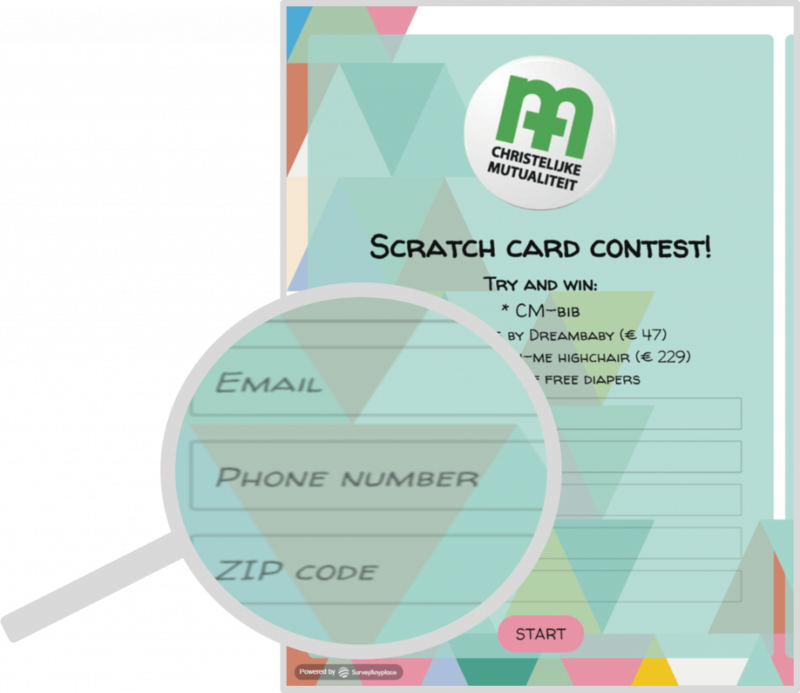 For Julie and CM, their personalized survey and scratch card contest helped them get double the number of new clients since the event last year. If you enjoyed this case study, you should put it to good use! We’ve put together a checklist of every step discussed in this article. Click the link below to download the PDF-list. Free PDF Checklist: Download the 7-step checklist to add the perfect mobile data collection to your next event!